Lucy does fencing in Condom. We’ve been to Condom and back so many times, I forget its origins in prophylactic humor. A “condom” in French is a “préservatif” which is so close to prophylactic it warrants a similar snicker. It’s quite possible Lucy may attend Condom High School. And Zélie was nearly born in Condom which would have provided her with many entertaining border crossings ( so I’ve heard from a friend who was born in Condom and therefore has “Born In Condom” printed and laminated in government squidge ). I think it’s important to desensitize you to the village of Condom by using the village of Condom by name as much as possible. 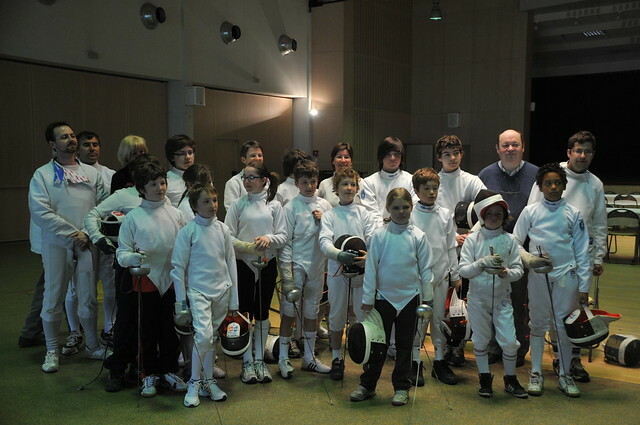 Lucy did a fencing match in Condom and the Condom fencing team did very well. 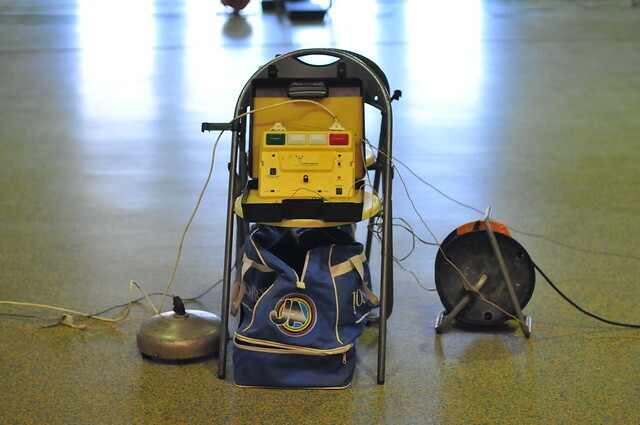 This is the Condom fencing equipment that does the beepy-beepy who score. 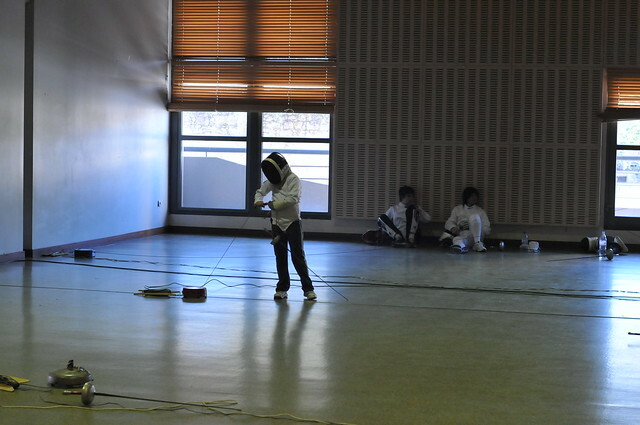 There aren’t many fencing tournaments. This is our first of the year. 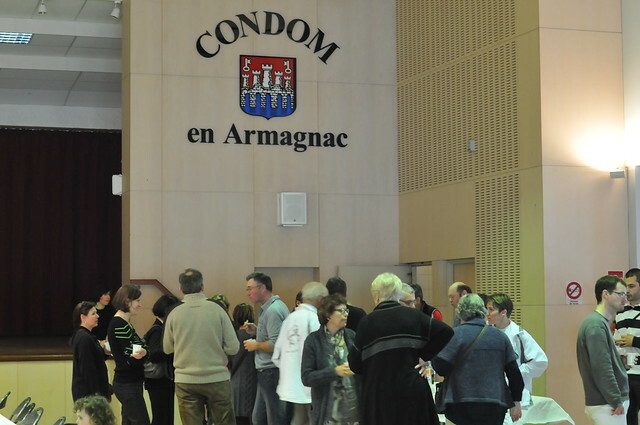 It was held in the cité of Condom ( it’s actually a city not a village ). 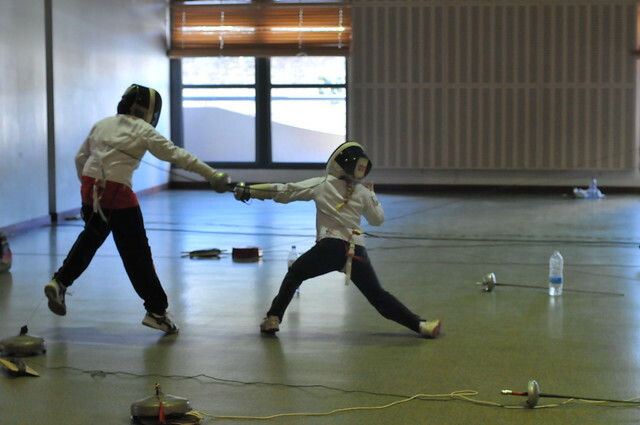 I love to watch fencing, but you must appreciate the difference with typical sporting matches. In soccer or rugby, the audience is on ( or drunk or both ). The fans cheer for the team, the team plays ball and the whole game unfolds with live ups and downs. 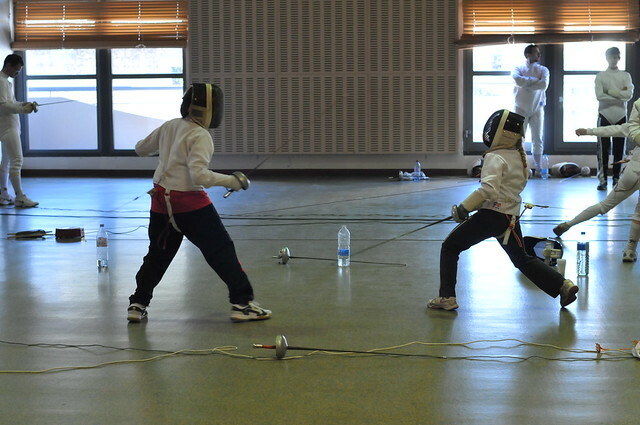 With fencing, simultaneous duels ( still learning here, is it a duel? or a bout? ) occur and it’s tricky to follow what the heck is going on. Especially if you’re tending to the fencing lady’s toddler sister. 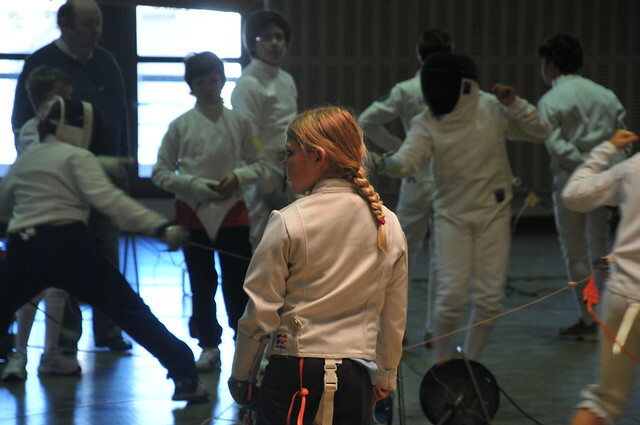 She kicked arse on her first two duels. After, it was a ten-year-old dramatic roller coaster of “I’m going to lose and I’m going to bed” followed by “yeah, uh, whatever, I won.” She’s a little fireball with competitive drive ( I have no idea where she gets that from ). This is what she looks like when she hooks up to the Condom fencing reel. Lucy is a fighter. She has also received the “short gene.” This short business does not hold her back. She fights kids ( mostly older boys ) that are taller than her. It’s not until you do some quicky snappage that you see exactly what she’s up against. This dude she’s fighting here has a height advantage. His arms are long. 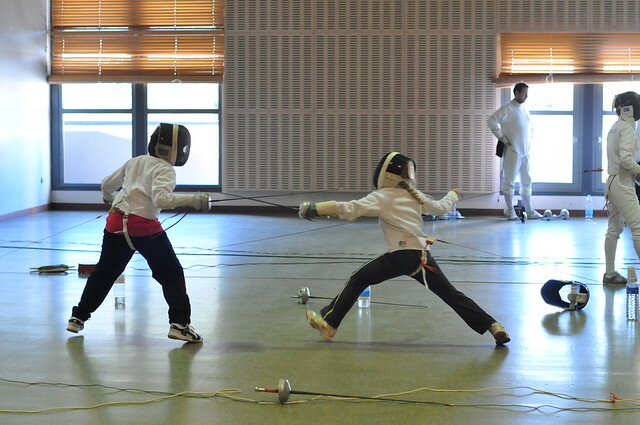 Because when they say, “allez!” Lucy charges, épée in left hand, all quick and fast like. The poor dude had no idea. It’s not long before he starts to wonder where the wall is. The man who scores the match gives a frown nod to Lucy and I step to the left to photograph, anticipating her next charge. 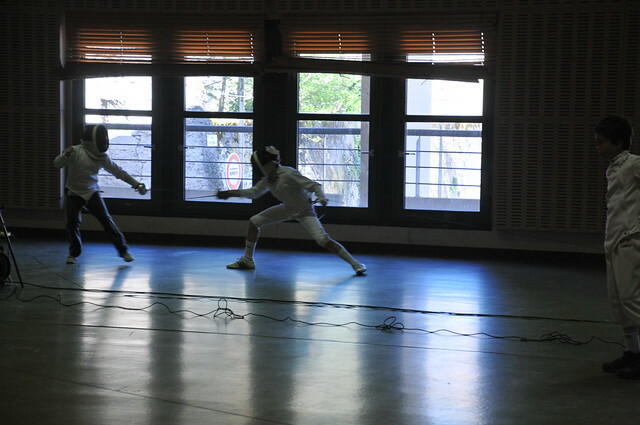 See his épée is about to strike with hardly a lunge. Our Lulu has to extend, lunge and balance to get her point. Go Lucy! But the day is half over. First we must have an apéro. A little Floc for the adults and some Coke for the kiddies served with munchies. Followed by lunch with rosé or rouge. Cheese, dessert, sweet bubbles, coffee, Armagnac. 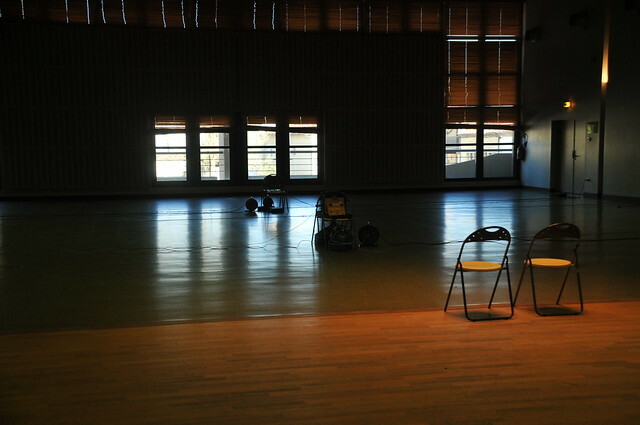 Then back to the tournament. I love the pace of France. 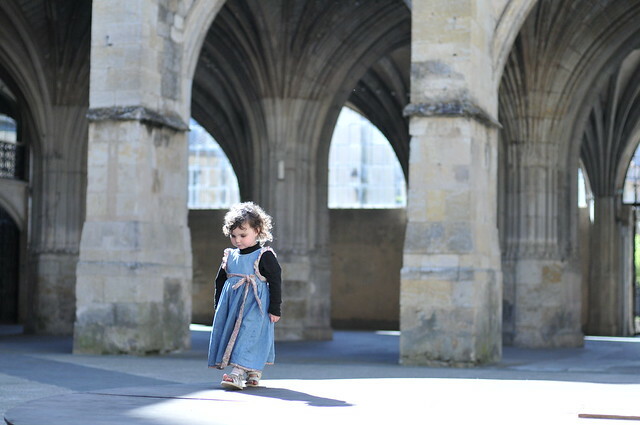 As it was a long day for a toddler, we took a little walk for some fresh air. A gorgeous day for a walk in a gorgeous cité called Condom. After the results were in, Lucy tied for second in her age group. 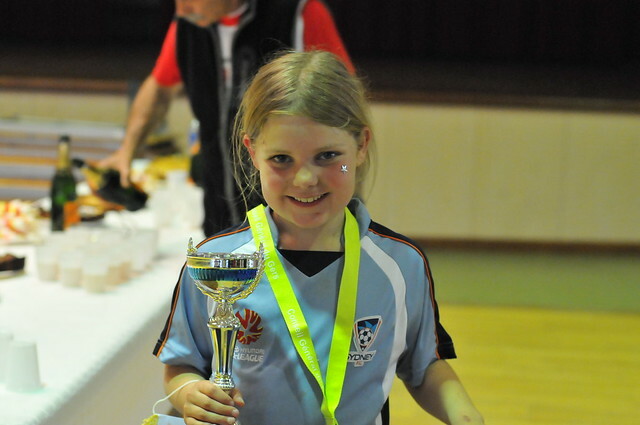 She was absolutely beaming to get a trophy. Then we closed the day with la liqueur de Pousse-rapière, a local orange-Armagnac invention added to Champagne ( or cheaper bubbly Champagne friends ). 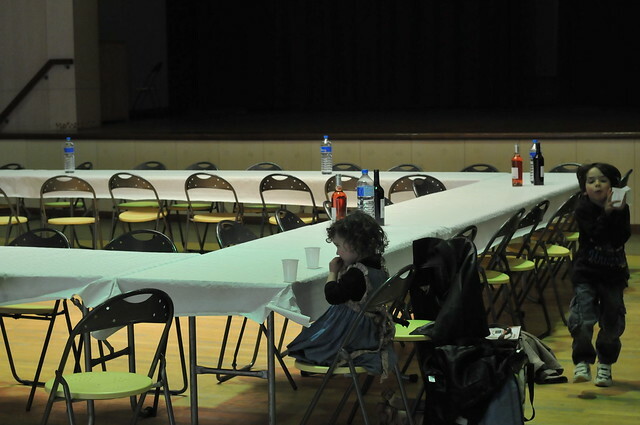 “The liquor of the Musketeers” served with more sweets and treats for the hard working athletes. she is so much shorter than the field yet seems she’s very good Horray ! !1 please remind me of what her e-mail is. I heard she’s really into getting e-mail thanks so much for your blog I love iti ! !